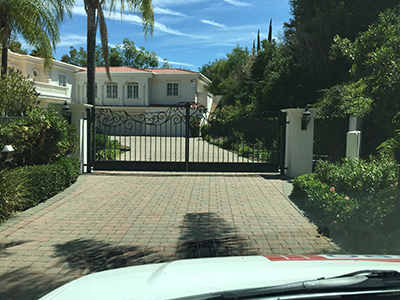 When you have a driveway gate either at your residential home or your commercial business it is always a great idea to have a driveway gate opener installed. If you are not sure who to talk to about this we can give you a great suggestion, call our driveway gate openers company in Maple Valley. We start by offering you the best supply and install services in the Maple Valley area. It doesn’t matter if we are talking about repair, replace or troubleshooting, you can be sure that there is nobody else in the Maple Valley area that could do those jobs better than us. For resolving complex or simple issues, hire our comprehensive electric gate repair services. Our technicians will come, identify the problem and resolve in in the quickest possible manner. Top results are achieved in no time thanks to our vast expertise, impeccable technical skills and dedication to the work. All of our specialists use the finest modern tools and spare parts of top quality. Our services cover absolutely all swing and sliding gates regardless of their make or brand. We provide full repair to all components from hinges and chains to panels and bars and from openers to clickers and intercoms. Our maintenance service is designed to take care of all of these parts as well to give you optimal system functioning at all times. Count on us for the perfect installation of your new gate. Our driveway gate openers company in Maple Valley can also install things like a gate opener remote or some sophisticatedsensors for your gate. All of our specialists can conduct even harder tasks, such as mounting a photo eye or a safety loop. These will keep you safer because it will prevent a car from crushing on a closing door. 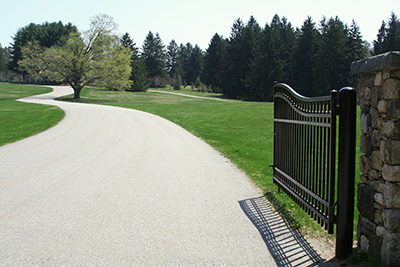 Our driveway gate openers company in Maple Valley also offers iron works, such as Pipe corals, retaining walls, fences, railings, doors/gates, window guards, security doors, dog runs, cages etc. We are second generation iron workers and are proud of the great things we can do with iron. We also do all kinds of repair and installations on gate/fences services. You will be surprised how fast we can do repairs such asrepair gates, driveway gates or motors remove and replace. We can install that new gate you have been wanting or fix that gate you already have. We can add phone systems to the gate that you have. We can repair the fence you have including the pillar blocks. There is nothing that we cannot do when it comes to gates/fences and their parts. We supply, repair and install and do it all at the best price in the area. Best prices and best quality of work, what more could you ask for? Please do yourself a favor and stop searching for the best driveway gate openers company in Maple Valley, you have found it in us. Call us today and let us prove to you why we are the Best.